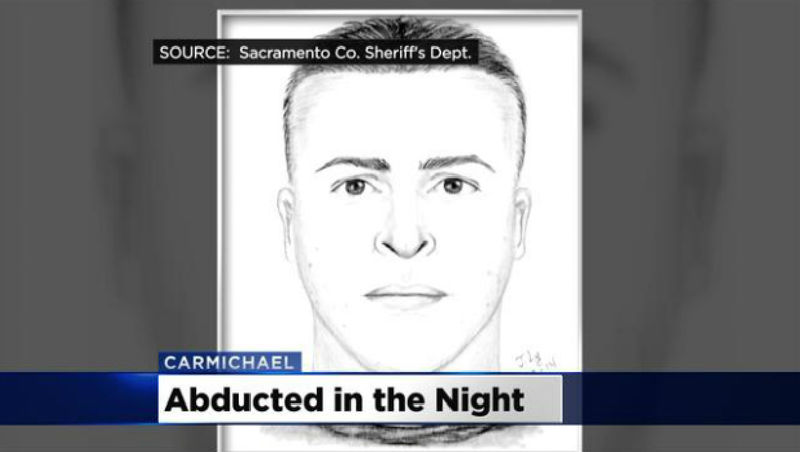 CARMICHAEL, Calif. - An 8-year-old Northern California girl says she was abducted from her home in the middle of the night by a stranger and when she pleaded for him to let her go, he did, reports CBS Sacramento. The girl's father says the man entered the house through an unlocked patio sliding glass door at 3 a.m. Tuesday. Deputies say the intruder put his hand over the little girl's mouth and carried the child out of her Carmichael home. "She was asleep and didn't realize what was happening until she was practically out the door," the girl's mother told the station. The girl reportedly told her mother that the suspect warned her not to make a sound as he took her to an area behind the home. The girl pleaded to be let go, and almost unbelievably, deputies say that's exactly what happened. She ran back through the woods to make it home safely and woke up her father. "What changed?," said Sacramento County Sheriff spokeswoman Sgt. Lisa Bowman. "For somebody to go through that method to take a child, and not keep the child or not do anything further to the child, is what's perplexing." A police sketch of the suspect depicts a clean-shaven young man with short hair and acne scars. The 8-year-old reportedly only sustained a few cuts and bruises from running home and hopes to return to school on Wednesday. CBS Sacramento reports authorities say they have confidence that the girl's account of what happened to her is true.